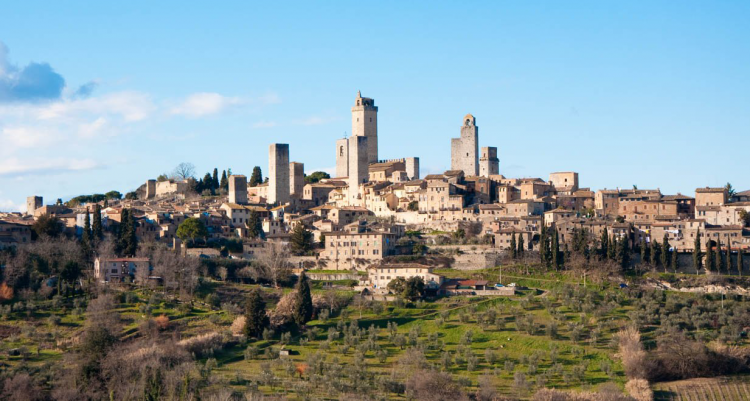 Driving through the scenic Tuscan landscape, after one hour you arrive in San Gimignano, famous for its medieval towers. This private guided tour is a perfect combination of art, history and countryside. The most prosperous period of the town was between the 13th and 14th centuries, when it became rich thanks to its location along the Francigena road, one of the main routes of those times. 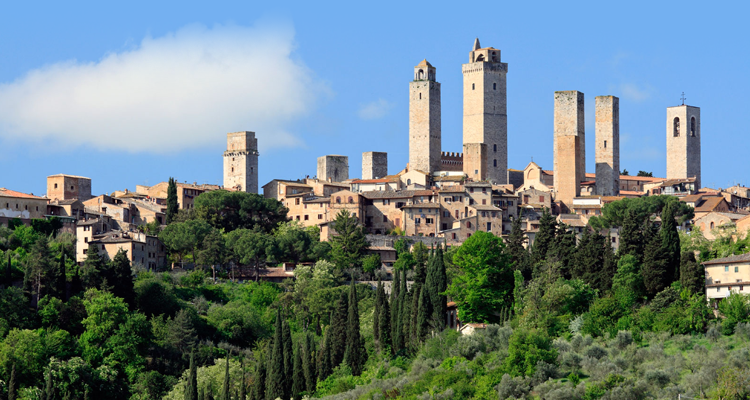 In San Gimignano you can choose to visit the Cathedral and the Civic Museum, climb the “Torre Grossa”, have a walk through the characteristic alleys of the center and enjoy a delicious gelato in the Cistern Square. The driver will lead you to a panoramic view of the town where you can take pictures of the gorgeous landscape.